July 4, 2015 is almost here, which brings a day of sunshine, barbeques, family and best of all - fireworks! I have been celebrating the Fourth of July in Hamilton County, Indiana since I was a little girl, and every year has been better than the last. From dancing in the CarmelFest Parade as a 2nd grader, to watching the fireworks on Morse Lake, to celebrating in Sheridan as a teenager - I have loved every fourth festivity. Below are some of the fun ways you can celebrate July 4th in Hamilton County, Indiana. The weekend before the Fourth, celebrate with the City of Fishers at the Fishers Freedom Festival. Enjoy two days of fun family activities, including arts & crafts, parades and fireworks. One of my favorite 4th of July celebrations is Lights over Morse. 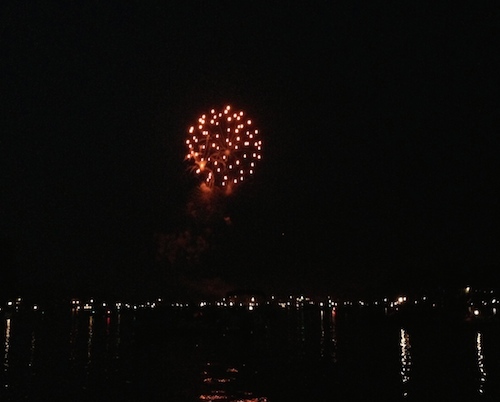 There is something special about watching fireworks reflecting in the water, but there is also tons of great 4th of July activities for the whole family! A kids&apos; carnival, zipline, craft and food vendors, sports tournaments, balloon glow, and live music. For a truly unique experience, take the Lights Over Morse Caboose Rides. The caboose train with an open air car will run from Forest Park on July 3 & 4. Tickets are just $5. Join the residents of 1836 Prairietown to celebrate America&apos;s birthday! Guests can travel back in time and decorate the town, join in games, dance, and sing patriotic songs. Celebrate America&apos;s birthday with the ISO&apos;s annual patriotic performance and salute to our military service members. All the traditional favorites return, including a spectacular fireworks show to cap off each concert. Start the holiday party a little early! Join Saxony on Thursday, July 3 for an evening of family fun, music, and fireworks at Witten Park. This event begins at 7:00pm with a concert featuring My Yellow Rickshaw and will conclude with fireworks at dusk. 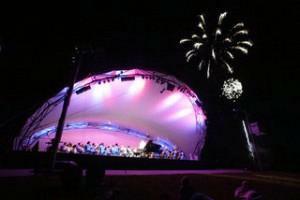 Celebrate Independence Day in Carmel with live music, arts & crafts, a parade, fireworks, and an unforgettable evening performance by the Carmel Symphony Orchestra. 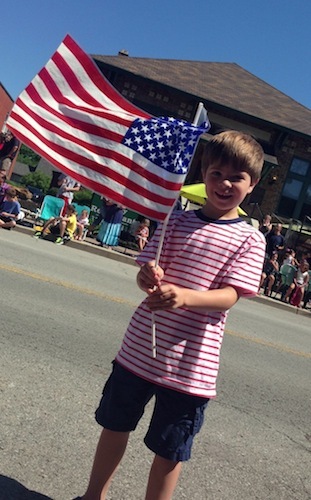 Bring the whole family for Noblesville&apos;s annual Independence Day celebration! The parade will kick off at 5pm and will travel through downtown Noblesville. A free festival will follow at Noblesville High School. At dusk, a fireworks spectacular begins! Visit Biddle Memorial Park in the quaint town of Sheridan for a fun, small town fourth celebration, including fireworks! Westfield Rocks the 4th is a free festival with something for people of all ages. This festival attracts over 20,000 people each year from Westfield and the surrounding area and has quickly become Westfield&apos;s signature event for the entire community, featuring entertainment, food and fun! To learn more about these events, as well as information on Hamilton County, Indiana hotels, restaurants, and great shopping options, go to VisitHamiltonCounty.com.